The Khan Academy was featured on the CCTV English News channel. The News showed how a high school in California uses the Khan Academy for their students to improve math scores. The students at this California school had aggregate student scores in math at about 300th in the State. In a two year period, the students of this school raised math scores to the 11th in California. The newscast started out explaining how the US students are falling behind their counterparts in other industrialized countries.They have used the web site, www.khanacademy.org to catch up on math. The teachers of that school were interviewed on their roles as teachers. They said that the teachers have become coaches, helping students with specific questions, rather than standing in front of the class. For those who are not familiar with Khan, he is a former hedge fund manager who started his online school by doing videos to help his niece learn math. The videos went viral on the internet and gave him inspiration to be an online teacher. His simple 10 minute segments allow students to go at their own pace. Good students are not held back by slower students, and slower students are not embarrassed by asking a “stupid” question in class. There is more information at http://en.wikipedia.org/wiki/Khan_Academy . The CCTV news is full of substance and can be very entertaining. It has an incredibly pro-China posture, which is no surprise. It frustrates expats with news stories like Chinese People competing in Salsa Dancing in Argentina and other incredibly fluffy stories. The coverage of the Khan Academy is extraordinary in this country of test driven schools. Teachers complain here that they don’t have time to enrich classes because everything has to be geared toward passing the middle school exam (to get into the best high schools) and the college entrance exam (for admittance to a university). I don’t know if the Chinese language news is the same as the English Language news. Reporting of innovative education techniques seems to be a recognition of the need for change in China. I can’t help but notice that this message is cloaked in reporting on the limitations of the US education system. The Khan Academy was noticed by the Bill and Melinda Gates Foundation, as well as the Google Corporation. With funding from these sources, the Khan Academy was able to ramp up it’s platform and serve a worldwide student population. The offerings range from math and science to history. This system requires self-motivated students and may render conventional teaching techniques somewhat obsolete. We may be in at a three tiered education system: students who want to learn, those who must be forced to learn, and those who don’t. Foreign English teachers in photos include Anna Pashkevych (from Ukraine, teaching at Meijia), Daniel Montes (from Mexico, a teacher at the Siweite/Sweet and Fulian kindergartens in Jinyang), and Katherine Cecil (from London, formerly teaching at Hualin Middle School 华麟中学). Startedu 起步教育 teachers, from left: Daniel Montes, damori88@hotmail.com, todosestanocupados@hotmail.com; Anna Pashkevych, anna_2017@ukr.net; Katherine Cecil, katherine.cecil@kcl.ac.uk; Ray Mahoney,马汉年, rmahoney58@yahoo.com; Benny Fan Xingqi 范兴旗, Startedu 起步教育– Guiyang” , fanxq@startedu.cn; at Guiyang,Hualin Middle School,贵阳华麟中学. Photo taken after a Friday English corner at Hualin Middle School, Oct 2013. The USA’s inability to govern in a coherent way is embarrassing to all Americans living in China (if not all Americans). Unlike many Americans, I don’t blame this on the politicians, but rather the people themselves who, in a democracy, are charged with self government. The loathing expressed by our politicians for each other is inspired by a sympathetic loathing from the general public. I have noticed the loathing of Bush, mostly by democrats, and a similar loathing by republicans of Obama. This feeling runs wide and deep in America, from the highest office in the land to the lowest of local politicians. I used to be a township supervisor. In a nutshell he states: Washington chaos hurts democratic ideals that appeal to young Chinese. For those who can’t read between the lines, it is foolishness to claim a liking for democracy while condemning anyone (“politician”) who stands forward to run for office. We should stop worrying about undermining a possible future democracy in China and start demonstrating through our actions, that high idealism which we preach to others. The Traverse City (TC) Record Eagle, my hometown paper, has agreed to publish this blog www.tourguizhou.net on their web site. I am looking forward to working with them and telling my friends in TC about the expat lives here in Guiyang, Guizhou, China. I am a real estate appraiser in Traverse City, and maintain a company called “Certified Appraiser, LLC” . My personal appraisal activity has dropped to about zero, as I have lived in Guiyang for several years now and refer old clients to qualified appraisers. I am currently teaching English at Guizhou Normal University, here in Guiyang. I remain interested in TC, having spent twelve years as Township Supervisor of East Bay Township (1980-1992). 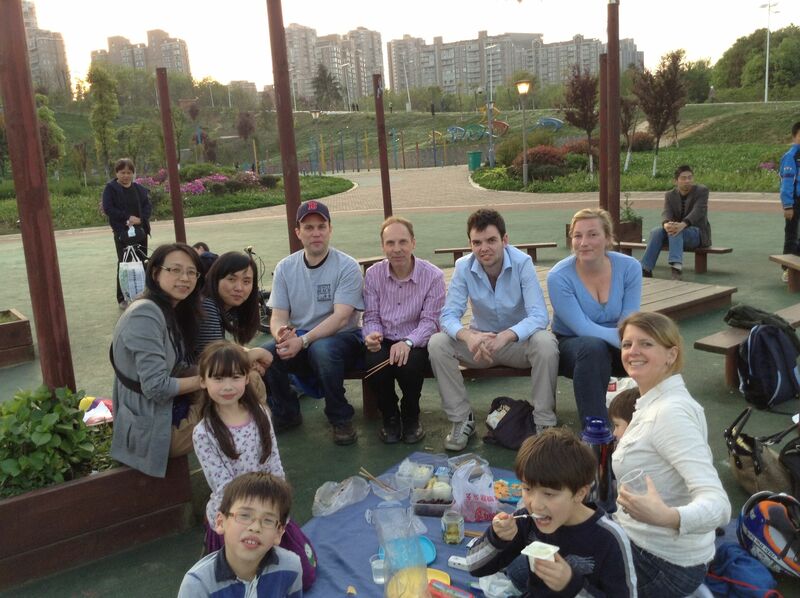 The subject of my blog is to chronicle our day to day lives here in China. We are often quizzed by Chinese about the US. I have many friends in local government here in China and can’t help but compare the two systems. Also, I remain active in TC issues and will comment from time to time on issues that remain close to my heart. We encourage all expats to contribute here, however, only my posts will be published in Traverse City. Exceptions can be made for occasional guest blog contributions. A Chinese Holiday — Nonstandard. October holiday is a Holiday with Chinese Characteristics. Talking about Chinese language: a “Holiday with Chinese Characteristics” really means that it is nothing like a holiday at all . . .
We have something called “makeup days” where the Saturday and Sunday prior to the holiday, and Saturday and Sunday after the holiday are work days, which are used to make up for the time off during the holiday. So I”m not exactly sure about these computations, but it seems that we work a five day week, then a weekend – 7 days. Then we have a holiday of about 10 days, including a weekend, then a 5 day week, a 2 day working weekend, then another 5 day week = 12 days working in a row. If you include the 10 days vacation, then we have 7+10+12 = 29 days. Our routines are disrupted for about a month in order to create this feeling of a national holiday. Of the eight days actually off (not including the weekend, four days are made up. I’m not complaining, but there might be a better way to do this. If the government wants to give us four days off, maybe we could get two four day weekends: Take Monday and Tuesday off before National Day and then Thursday and Friday off after National Day. There would be four days off, but they would be grouped together better. There would be a one in seven chance that National Day would fall on a Wednesday.In that event, perhaps one in seven years, we could have Wednesday off. In the best scenario, we would have Sat/Sun off, then Mon/Tue (Sept 29/30) off, then the Wednesday (Oct 1) Then Th/Fri, then a regular weekend. That would be a nine day holiday and no disruption of our weekends. On six of seven years we would have simply two four-day weekends. Guiyang student “Diego” (in light blue hat, 4th from left) with classmates on a trip to the United States in the summer of 2013, organized by Xingfuxuetang 幸福学堂. A similar trip is planned this coming winter break in February 2014. Diego with other students of English in Denver. All the meat! —Diego wanted more vegetables. 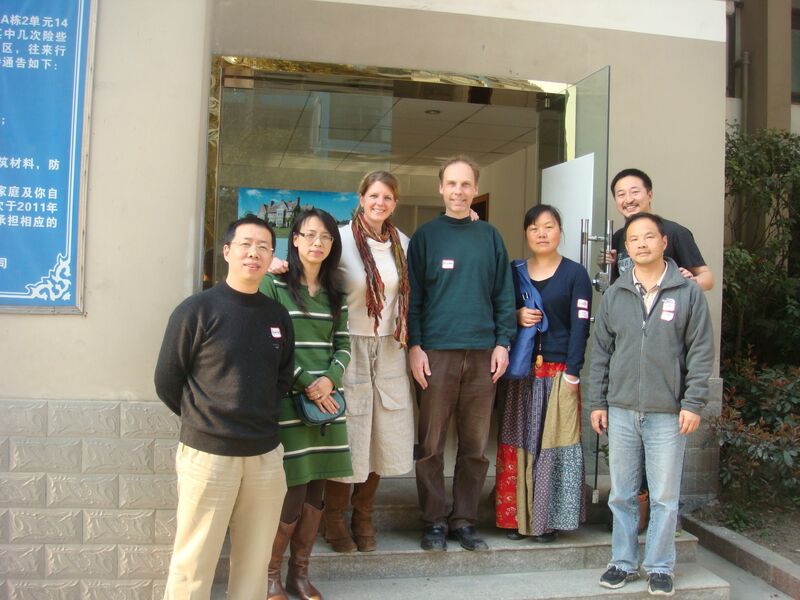 The Tucker English School is set up in Guiyang China to offer a new way of learning. The Tucker family believes the long term purpose of learning English is to be able to speak and use it, rather than purely to pass exams. The aim is to use original English story books, games, songs, musical plays, different media rather than textbooks to make learning fun, realistic and productive. We aim to raise awareness of English culture by following the major seasonal events that happen in the UK. To inspire the children to learn English with enjoyment and confidence are our utmost goals. The Tucker English School is creating an environment that helps children to build up characters of a more rounded person as well as achieving their academic English excellence. Doing business in China is not easy. Doing business in Guiyang is probably twice harder, considering the local dialect, spicy food, cold and long winter, and lacking of international community. However, it could be fun and full of adventures in Guizhou too. This meetup group is set to put adventurous international entrepreneurs together in Guiyang. So, they share their experiences and expertise and help each other to pursue their goals in this land. Look forward to meeting all of you! My name is Boni Jiang. I am a local from Guizhou Province and now live in Guiyang. 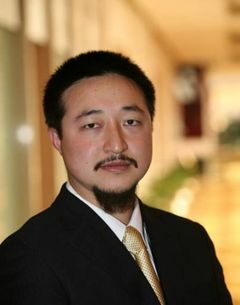 In the past five years I was providing international consulting services in clean energy and carbon credit businesses. What do you expect from this meetup group? I hope to meet people and form a community in international business in Guiyang. So, business people and entrepreneurs can share their expertise and experiences. What would you like to contribute to the community? I’d like to initiate this community and share my experiences in the past five years. Are you doing international business in Guiyang or Guizhou? Yes, mostly consulting for international companies and some Chinese companies. Reference from a business subscription. Can you tell us what your business is? Energy related consulting. Recently I am extending to education consulting.